Going on holiday is not only fun, but it has been proven to have incredible health benefits. If you are feeling sad, stressed and demotivated, a holiday might just be what you need. Multiple studies have revealed going on holiday has positive effects on health and well-being. So, if you don't take regular breaks, you are missing out on an opportunity to refresh your mind and improve your health. Let’s look at some of the benefits of taking a holiday. Anyone who has been on holiday can attest to the fact that it boosts your mood. A study published in the journal Applied Research in Quality of Life (ARQOL) found people who go on holiday remain happy and the effect of the anticipation boosted happiness for eight weeks. So, if you are feeling a bit down and out, it might be the perfect time to pack your bags and take a trip away. One of the great things about being on holiday is that you get to relax your mind and body. 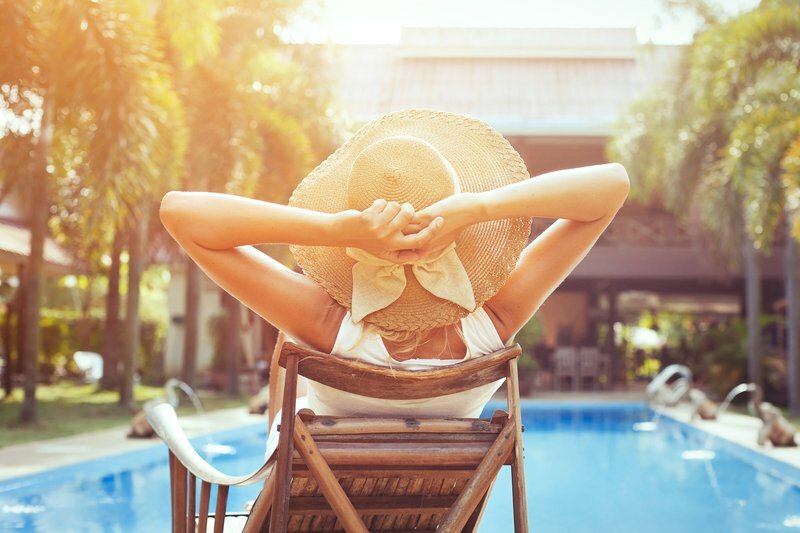 According to a research conducted by the University of Massachusetts Amherst based on more than 800 holidaymakers, taking a holiday helped individuals recover from stressful work. The study found life satisfaction after the break is positively influenced by perceived control, psychological detachment from work, relaxation experience, and mastery experience. The results also revealed that longer holidays might provide more opportunities for detachment and mastery experiences. Although you might think it helps your company when you don’t time out, a study done by O.C Tanner, found employees who went on holiday are highly motivated to contribute to the success of the organisation they worked for as opposed to employees who never took a break. Forbes website also states that going on holiday results in higher productivity, stronger workplace morale, and greater employee retention. This is not only great news for employees, but also for the employers. So, why not start planning for that special trip. It might just be what you need to get a work promotion. Rest and relaxation are essential to keep your mind sharp and your creativity flowing. When we hardly take time out to relax, our minds can feel cluttered. But one of the benefits that come with leaving work behind and going away is it comes with a mental recharge. When stress levels are reduced, and we are feeling happy and calmer, our thoughts become clearer. Going on holiday with your partner, can help reignite the fire in your relationship. Plan to have romantic dinner nights and give your partner your undivided attention. Even if you decide to take a trip with the entire family, make sure you reap the full benefits by planning fun activities that will see you spending quality time together with your partner. There’s no denying the best way to explore the world is by travelling. When you take a holiday, especially if you go outside your province or country, you get to see and enjoy other parts of the world. Travel can change you, and you might see yourself and your role at work a little differently when you return. In this busy life where work and having to take care of the family can get overwhelming, we can sometimes neglect ourselves. While on holiday, you don’t have to worry about the stress of having to cook for your family or facing your boss or even dealing with the annoying neighbour. It’s all about you having fun. So, go right ahead and book a trip somewhere. It will do you good! In the below video, Doctor Mike, a celebrity doctor based in New Jersey shares seven health benefits of going on holiday. These benefits include how it can help you have a healthier heart and can even help you fight depression.